Area 5 is blessed to have 495 ringers and/or directors as members. We hope to see many of you at one of our Spring Rings or Fall Education Workshops this year! What can you do to encourage new ringers and directors to join our wonderful organization? If you have been to an Area 5 event or a national event, share your experience with others who have never done so. Plan a fund raising event or convince your church to give a partial scholarship to help ringers finance registration to the next Spring Ring or Fall Workshop. Check out our Membership Referral Program and learn how you can earn Handbell Bucks to pay part of your next registration to an event! Does your church or organization have a group membership? If so, your ringers may join HMA for only $10 a year. Click here to learn more. The Resource Library located in the Members Only section on the Handbell Musicians of America website is a marvelous place to access various handbell related articles, including some interactive PDFs, PowerPoint webinars,and other related materials! You will find resources designed for the Community/Professional, the Education, or the Faith-based ringer or director. 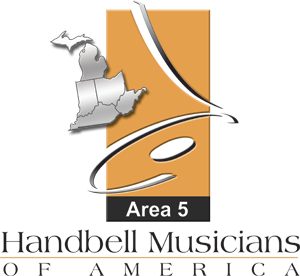 Please visit Handbell Musicians of America to find out more about membership benefits like Handbell Bucks, MemberNotes and MemberChats.